One of the most important things we can in our walk with God is to study the scriptures. Growing deeper in God’s Word helps us to grow closer to God. It helps build our faith and helps us to have wisdom. It helps us to make proper judgments based on the way God sees things. It helps us to witness to others and defend the faith. Studying the scriptures gives us the knowledge do the work of God. Another reason to study the scriptures is so that we can be ready to give an answer to others. The Bible itself tells us to study the scriptures. Studying the scriptures gives us the knowledge to contend for the faith. Bible study is different from Bible reading. We must read the Bible with an open heart and mind, and then we must dig deeper into God’s word and study. Studying the Bible allows us to grow in the Word of God. It opens our understanding. It allows us to hide the Word in our hearts. Studying the Bible is one of the best ways to memorize scripture. Good Bible study comes from good habits. We must make a habit of focusing on our Bible study by using a systematic study that works for us. We must devote our time and attention to Bible study. Bible study should always start with prayer. Study the Bible as a treasure hunter. Dig because you know there’s something to be found. Our Bible study can be made more effective by using a structured study method. There are many Bible study methods. It is best to use more than one study method. No matter which study method is used, there are several rules that should always be followed. Start with prayer. Ask God to lead and guide you through your Bible study and to open your understanding. Keep everything in its proper context. I’ve been to seminars where the preacher used a piece of one verse and added it to a piece of another in order to build his doctrine. Both verses were taken out of context. All interpretations must be built on scripture in its proper context. No one scripture is of its own private interpretation. Our interpretation of a verse or passage should not contradict another verse or passage. Allow scripture to interpret scripture. Don’t look for hidden meanings. Many times we try to make a verse say something it doesn’t really say just because we think there’s a hidden meaning within the passage. Use the obvious and clear reading of a text. Don’t read between the lines, and don’t read something into it that’s not there. A verse can have many applications, but it usually has just one meaning. There are a few cases where Paul will use a verse from the Old Testament in a different way than it was intended in order to teach a point. This shows that the original passage could have more than one application, but its original meaning still stands. Looking for something hidden can be more of a distraction than a help, and it does not build strong doctrine. Good Bible study relies on good study tools. Study tools help in word studies and can give information about the cultures and people of the time. Study tools can be helpful no matter which Bible study method you use. Even other translations can be good study tools. The same seminar where a preacher took verses out of context, the preacher also said we had to use the King James Version only. He said this because of a word in Acts chapter 2 that made it seem that only the men spoke in tongues on the day of Pentecost. In the original Greek, the word was neuter, meaning that it referred to mankind in general- not man specifically. Reading the verse in Greek or any other translation will show this point. All of these tools can be found as software on the Internet for free or purchased in book form. Topical study is the art of taking a specific topic and following that topic throughout the Bible. Topics usually get broken into many subtopics. For example, the topic of salvation includes the subtopics of believing, faith, repentance, baptism in Jesus name, the infilling of the Holy Ghost, and obedience. And that’s only getting started. A concordance will be indispensible for topical study. Simply open a good concordance, such as Strong’s Exhaustive Concordance, and look up the topic you want to study. 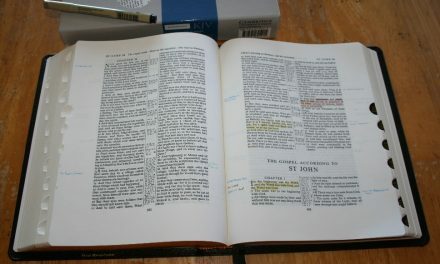 Another method would be to search the topic online or in Bible Software. The only problem is that the only verses you will find are the verses that contain the exact words you’re looking for. 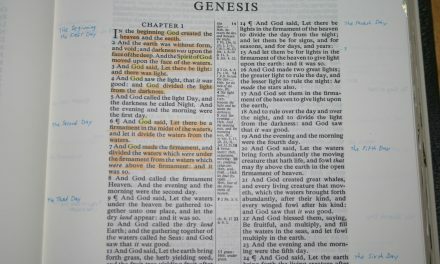 Another good source would be a topical Bible, such as Thompson Chain Reference, Naves Topical Bible, or the Duggan Topical Study Bible (currently out of print but occasionally found on eBay). Book study is studying a specific book through its entirety to glean the most from it. Elements of book study include making outlines, listing characters, listing events, and determining key verses. Chapter study includes much of the same study methods as book study but is more specific than book study because it digs deeper into a specific chapter. Chapter study seeks to answer specific questions about the chapter including key characters, key events, and key verses. Chapter study identifies key topics and passages, and key components such as parables and prayer. Most study methods eventually lead to word study. While studying or reading the scriptures you will often come across a word that you want to know more about. For example, John 1:1 talks about the Word being with God. Doing a word study by going to a Greek dictionary would give a deeper understanding of the original word used, which is Logos. Dictionaries and lexicons are helpful in word studies. 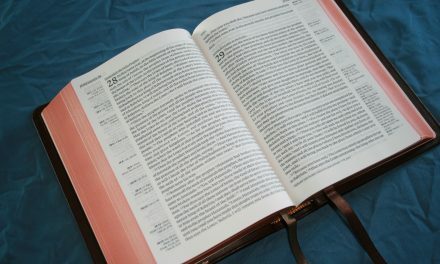 Biographies, or character studies, is when you search the scriptures to find everything you can about a specific person. Biographical studies help us to better understand situations and cultures in the Bible. It helps us to see what others have gone through so we can have guidance and comfort through our own situations. Always apply what you’ve learned to your life. Ask yourself questions. Determine how situations apply to you. Are you doing something similar to the people you just read about? Are you in a similar situation? Looking into the scriptures and applying them to your life is one way to do a self-examination. It is like looking into a mirror to examine what we see. We must apply the scriptures to our lives and let scripture lead, mold, and shape us. Hiding the Word of God in our hearts and growing in His truth will help us to have a closer walk with God. Generally, I inductively study the Bible topically. Once I choose a topic to study I like to use a topical study tool, such as a Thompson Chain Reference, a topical list, or a search feature in Bible software, and study through that topic one passage at a time. Once I get to the first passage I mark that passage inductively using a color code and marking system that works for me. 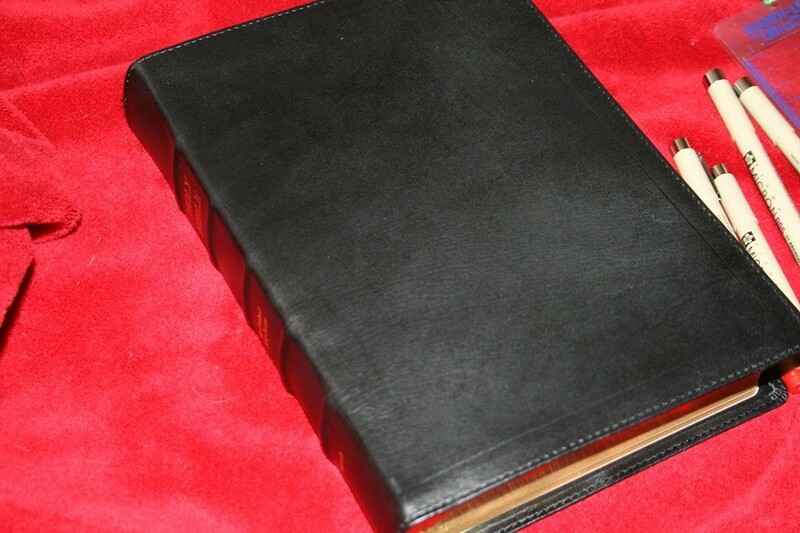 This allows me to work with the scriptures, which opens up my understanding and helps me to memorize scriptures. I then go to the next passage. I will usually mark the next passage in the margin so I have a topical chain. Most of the time the topic name is already written in the margin of my Thompson, so I simply highlight the topic name and reference in its proper topical color. I also like to teach and write about each topic or passage. I learn more and memorize easier by teaching, talking, and writing. This is why I write. Bible reading and study go hand-in-hand. One supports the other. Strive to read and study the scriptures daily. By studying the scriptures and hiding them in our hearts, we grow closer to God. 2 Timothy 3:14-17 14 But continue thou in the things which thou hast learned and hast been assured of, knowing of whom thou hast learned them; 15 And that from a child thou hast known the holy scriptures, which are able to make thee wise unto salvation through faith which is in Christ Jesus. 16 All scripture is given by inspiration of God, and is profitable for doctrine, for reproof, for correction, for instruction in righteousness: 17 That the man of God may be perfect, throughly furnished unto all good works. There are many other methods for effective Bible study. This list is not exhaustive. The key point is to just start. Start to study the Bible today. Don’t wait. Start reading and start studying. Try different methods. See what works for you. Take your time and let it soak in. It’s not a contest. Dig into the Word of God and let it speak to you. Meditate on God’s Word and keep God in your mind. This will help you fight temptation, just as Jesus did in the wilderness, and help you grow in your walk with God. During my days as a university student, I highlighted all my books only to go back years later and wonder why I did it. I had one undergraduate Reformation class that had a required reading list of 17 books, all of them rather lengthy, information from any or all of them could, and would, end up being necessary to properly address the essay questions given by this Professor. Years later with maturity and additional knowledge, I was sorry for marking my books up. I have found that purchasing the notebooks, that were often called “journals” by my High School teachers and writing my thoughts there provided the necessary notes for a given topic or chapter without making marks in the book that I would repent of later. Many use the highlighter as a tool for effective reading, I find that reading in chunks, paragraphs, if you will works even better for me. With practice, one can call up these chunks and read them in detail mentally as if they were on a screen, for days, weeks, even in some cases years later. This is something that any one can do to some extent then expand it with practice, some more , some less. Surprisingly consuming information this way raises comprehension rather than lowering it. I find myself reading this way then asking myself if I actually read the passage accurately, going back and reading slowly word by word punctuation mark by punctuation mark, learn that the initial photo of the chunk was correct. This technique fades if not used regularly, but is easily retrieved if it was learned well earlier. Try it, it may work for you. Hi Don. Very interesting! Thanks for giving us another way to dig deeper into God’s Word. I’ll give it a try.